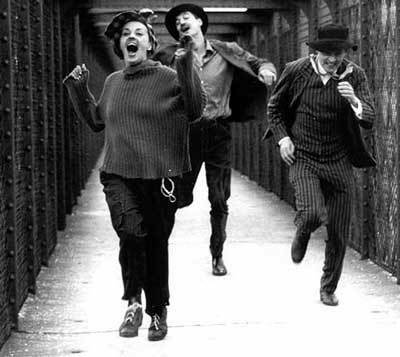 When I was at school, I devised my very own revision course for French: I watched Jules et Jim. I watched other French films too, but mostly I watched Jules et Jim. At home, on video, I watched it again and again, sometimes more than once a day. In the course of enlarging my French vocabulary, I wrestled earnestly with the question of whether I identified most closely with Jules, the fair-haired German, or with Jim, the dark Frenchman. 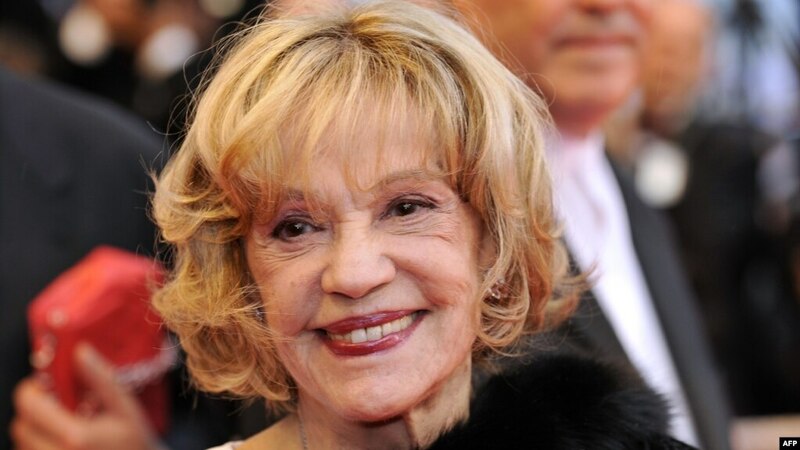 And I wondered how, I would deal with the unpredictable conduct of Catherine, the lover they shared, played by Jeanne Moreau. This self-invented educational programme, I’m glad to report, secured me top marks for spoken French. Less happily, it led me to conceive an impression, unbudgeable for some years afterwards, that French women – perhaps women in general – are adorable lunatics. Moreau, the first French actress to appear on the cover of Time magazine, started as a classical theatre actress just after World War II, then went into film and spearheaded the Nouvelle Vague. The actors and directors she’s worked with include legendary figures from the past as well as many of today’s biggest names. In 1998, she won an Oscar for lifetime’s achievement. Today, a cinema in Paris bears her name. In 2001, Moreau was inducted into the French Academie des Beaux-Arts – the first woman in the Academie’s nearly 200-year history. According to French tradition, this made official her status as an immortelle. In short, if you haven’t grasped it yet, Moreau is the greatest living actress in France, perhaps anywhere. And her speciality is the strong woman, the seductress, the uncontainable animal spirit. Having done my research, I’m not surprised to find that she is short. I know too that she has contempt for cosmetic surgery, and indeed any attempt to prevent the effects of ageing. That being said, she’s still, at 78, one of the most glamorous people I’ve ever met. Her hair is bobbed, and she wears a smart black jacket over jeans. On her left hand she wears a ring with a gigantic pearl. She places on the table before her a box of cigarettes; she manages not to smoke while we talk, but her voice is huskier than any you’re likely to hear outside a cancer ward. She sits on a sofa. I take a chair. But she says she can’t hear me properly and invites me to sit beside her. Over the course of our conversation, perhaps by way of punctuation, she touches me several times on the hand. Also on the elbow. Possibly the thigh, too – but the interview passes in such a blaze that I’m afraid I can’t quite remember. According to my notes, we start by discussing Jules et Jim. So how does Moreau account for the film’s energetic, exuberant mood? “There is a mood in every film. It has something to do with the mood of the director, and something to do with the story itself. “We started Jules et Jim with very little money. There was a very small crew – we only had a sound man on the day we recorded the song, and everything else was post-synched – so there was a great sense of freedom. “It was very inventive. Francois [Truffaut] would say, I’m going to rewrite that scene. He was reinventing all the time. Jules et Jim was released more than 40 years ago. Moreau is famously indifferent to nostalgia, and I’m conscious that to talk about such ancient work must be frustrating. Imagine that somebody were to ask you, 40 years from now, about the project you happen to be working on. Would you remember anything? We move on. She’s come to the Istanbul Film Festival to collect another lifetime-achievement award; immediately afterwards, there’s to be a showing of her latest film. In Time To Leave [Le Temps Qui Reste], a young man finds out that he has only months to live. The only person he confides in is his grandmother, played by Moreau. It’s a small part, but she makes the character incredibly real. Rather cruelly, the grandson tells Moreau’s character that he’s confiding in her because, like him, she’s going to die soon. How does Moreau, approaching 80, feel about death?